This is the fifth part in a series talking about the wee crow Olly, from Game of Thrones. These posts have been discussing why people don’t like Olly (and why I’m not really on board with the Olly Hate.) Should you want to read my Team Olly series from the beginning, go here. Don’t spoil me! I’m only up to Season 4 Episode 9, when no one was hating on me yet! Disclaimer: even though I usually focus entirely on show-details for my blog, because Olly wasn’t a canon character from the books, I felt the need to at least contrast the events in the books with the show’s adaptation. If you’re a show watcher and not a book reader and you plan on reading the books one day, I understand your reluctance to keep reading my work here. But I feel pretty confident that nothing I say in my defense of Olly will be so spoilery that it lessens your enjoyment of the books. Straight up, Olly isn’t innocent. He stabbed Jon Snow. I totally get that. 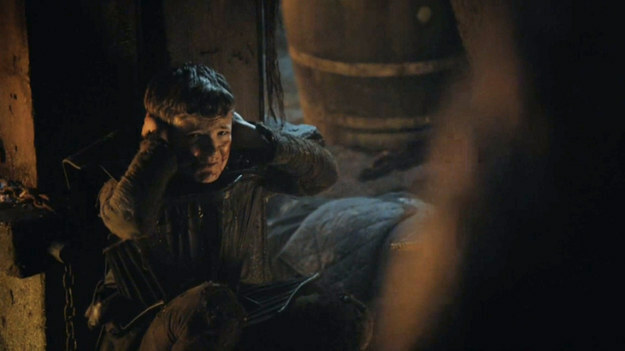 What I just didn’t understand was the tremendous focus of hate applied to Olly, eclipsing (in my estimation) the hate for his grace, King Joffrey. I admit, there were seasons and seasons of hate for Joffrey, and we’ve only had Olly with Most Hated Status for a few months, so maybe I’m blowing the Olly Hate out of proportion. Regardless if the hate was genuine or not, I am intrigued in the audience’s very public reactions to Olly. Do people really hate Olly? Or (as I suspect) it’s just really fun to bust on him? My defense of the little murderous orphan probably stems from a similar sense of fun. I like defending him. But I also feel sorry for him. I have a soft spot in my heart for child soldiers, who are forced through circumstances to abandon their childhood and take up arms. It’s always tragic. Arya’s story is probably one of the most tragic stories. She’s definitely on a path to badassery, but that’s actually a shame. Pfft! Who needs a childhood? I have a list! 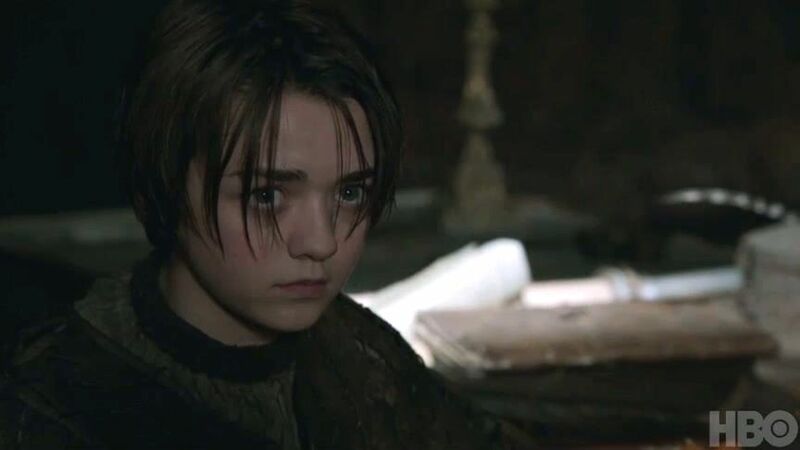 It’s only a matter of time until Arya will be so far down her dark path, that she’ll be strongly motivated by circumstances into killing someone whose death she will clearly have cause to regret. When that time comes, she’ll be in the same boat of Olly, and I’m planning on exercising sympathy. Sympathy that I think Olly deserves as well, and not so much scorn. 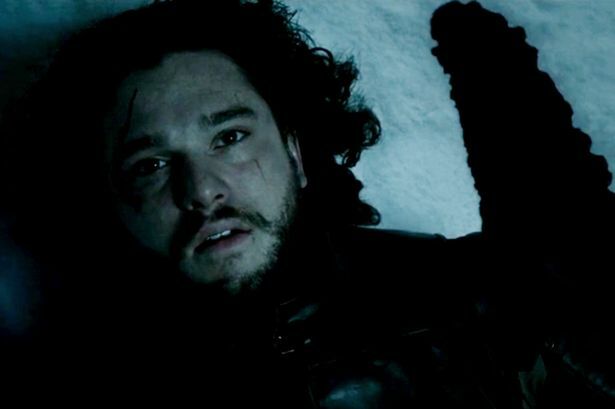 So, what would a resurrected Jon Snow do? For purposes of this series of articles, I’m not worried about what Jon will do in regards to the Wildlings, or the White Walkers/Others, or the Boltons. Or even Alliser Thorne. When the snows fall and the white winds blow, the lone wolf dies but the pack survives. Summer is the time for squabbles. In winter, we must protect one another, keep each other warm, share our strengths. The rest of Westeros needs to figure out that the time for squabbling is past, and Jon should set an example in that regard. Killing Olly won’t make anything right. It would just be a distraction from the real threat. If Jon can show sympathy for Olly, who stabbed him, then we’re going to have some cognitive dissonance happening for anyone fully committed to blaming Olly. This does make me wonder what Jon’s plans should be in regards to Ramsay Bolton and the Bolton forces. It’s easy for me to say “hey, the White Walker threat is pretty bad, so everyone team up” without acknowledging that “everyone teaming up” includes those asshats too. But that might make for a different post. Okay, I’m done. Five posts was probably four posts too many to spend on little Potato Olly. Assuming Jon is resurrected, I’d love to hear what people they think will happen (or want to happen?) I’ll open up the poll to be something other than just Kill/Forgive. If you legitimately read my entire series, I am deeply humbled and appreciative. Even if you read it to make fun of me. That’s cool. Hopefully these articles won’t get me banned from the Game of Thrones-centric Facebook groups I frequent. I think Jon is going to come back as a Targaryen. There is so much foreshadowing towards it. But as said before, the gods flip a coin when it comes to Targaryens they can be as awful and crazy as Viserys or as compassionate and as sound of mind as Dany! Great posts interesting insight! Thank you so much for the feedback. We’re on the same team in regards to Jon coming back. Hopefully he’ll come back as compassionate as before. I quite enjoyed these! 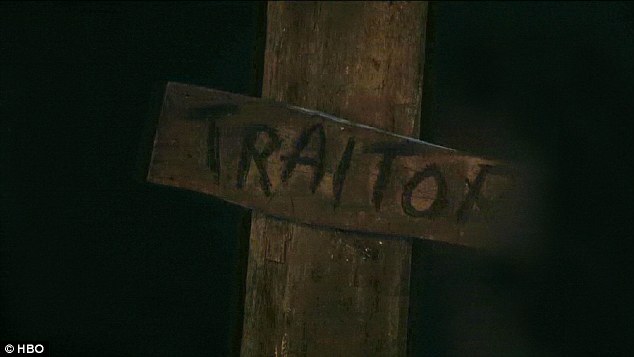 I was baffled by the very Olly-specific hate too, but I’ll concede that it was more of a tragic Brutus-esque betrayal on his part, as opposed to all those other crows who never really liked Jon to begin with. I just rewatched the scene (it still stings, by the way): we even get that little swell of music as Olly comes forward, and the protracted, sad stare-down between the two of them. Showrunners pulling on our heartstrings! Maybe we’ve been spoiled by a few strong “obvious” villains over the past few seasons… Ramsay, Joffrey, Walder Frey… we get irrational when faced with these grayer characters. Since the series has a wealth of gray people, I’m sure the coming seasons/books will challenge us and our loyalties even more… yikes. I’m very pleased that you enjoyed them! Thanks for the insight on contrasting reactions when known villains do bad things and when gray characters do bad things. I think you’re on to something. Divided loyalties certainly seems to be a pattern in the books, where we are either rooting for both sides in a conflict, or am despairing the outcome since neither victor would make us happy. Thank you so much, and I appreciate your feedback, as always. Especially that comment on endless hate towards Joffrey. Ugh. Joffrey! Totally hate-worthy. Maybe a White Walker will raise up Joffrey as a wight, so someone can club him down. He he he…Laughed out loud on that image… Hope I get a go at it too…. Very interesting , made me think a lot more than i had at first. To be honest the only thing that i felt was wrong happened after your article was written. When Olly was about to be hung and Jon asked for last words you could see the hate on Ollys face. I thought that seemed wrong , yes Jon had brought in the wildlings you killed his parents but he had been killed and come back to life , wouldnt that start to give you doubts about killing him the first time had been a mistake and Jon had the blessings of the gods or something. Thats what i would have thought anyway. I was never a big Olly hater . I can understand both points of view, but the show makers set him up to be hated with those long angry looks at Jon . Great article, liked it a lot. When the series is over i will be able to get into a lot of the other stuff that you have written, im looking forward to it. Peter, glad you liked the article, and I look forward to hearing more of your thoughts. Clearly, your hopes for forgiveness didn’t follow through. I will admit that you did actually manage some good arguments. I still don’t like the kid, but my vitriol has lessened a bit. It’s not like he was ever my most hated character though. Ramsay and Joffrey have such a head start that there’s no catching up. Thanks for reading all the Olly articles! When I get a chance, I’ll respond, also to my Ser Alliser post. I kind of cheated in some ways in defending Olly, since I didn’t try to really absolve him of stabbing Jon, just in some of the ancillary charges. I had to read them. I considered it a challenge! 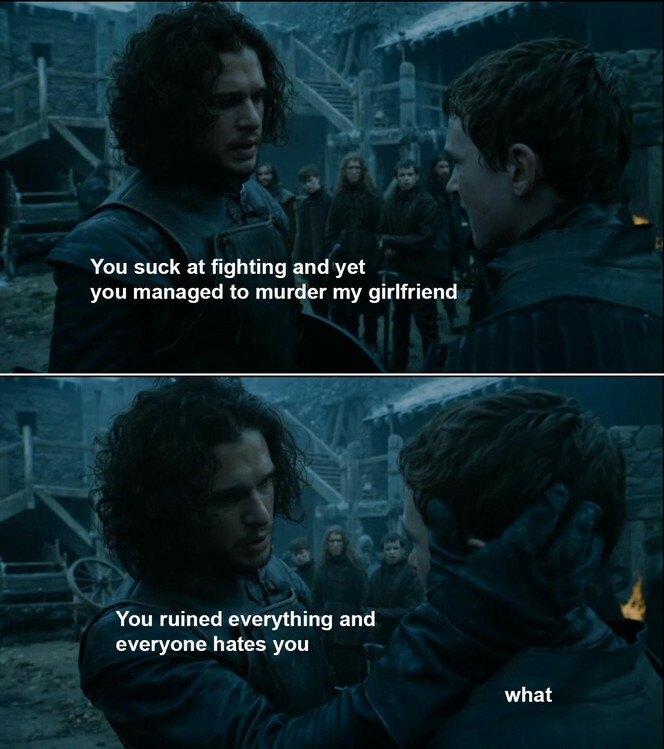 Well, there wasn’t really any way to absolve him of backstabbing – or front-stabbing, rather – Jon Snow. But you did manage to address just what his part in the treachery was.